Who doesn’t love a cute, colorful squirrel? 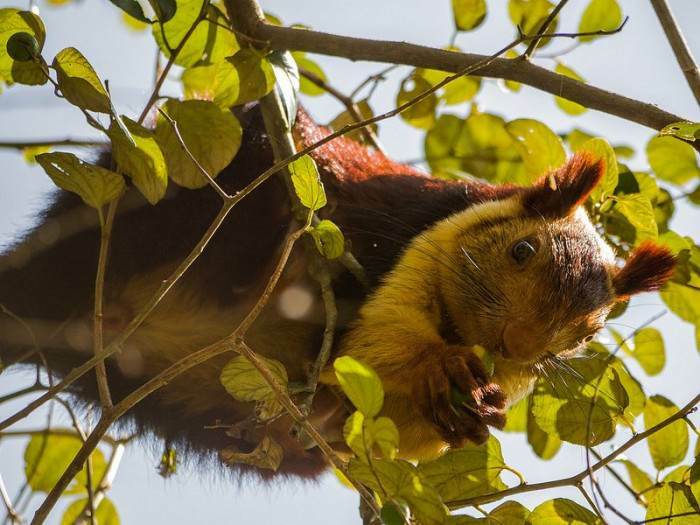 The Indian Giant Squirrel – also called the Malabar Giant Squirrel – is an adorable creature which has been hiding in the depths of India for far too long. And thanks to some savvy photographers, we can now see the amazing sight of these brown, dark red, white, purple, yellow and orange animals. They usually hang out by themselves and are often seen early in the morning and evening. When they’re stressed – often from predators – they freeze and lie on a tree trunk, hoping they won’t be noticed. So next time you’re in the tropical forests of India, bring some binoculars! 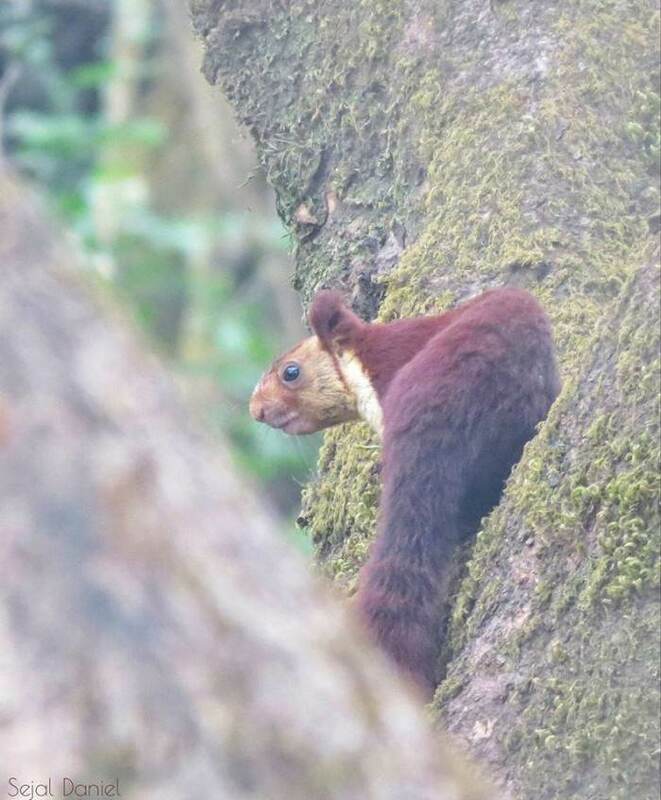 These squirrels are not easy to spot. These cannot be real. How cute are they? If they feel threatened, they’ll lie against a tree trunk. 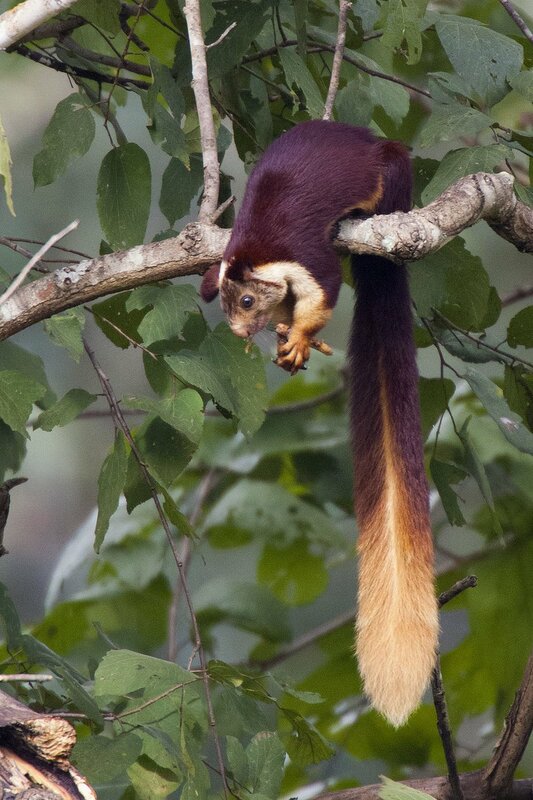 The Giant Indian Squirrel’s tail is usually around six feet long. 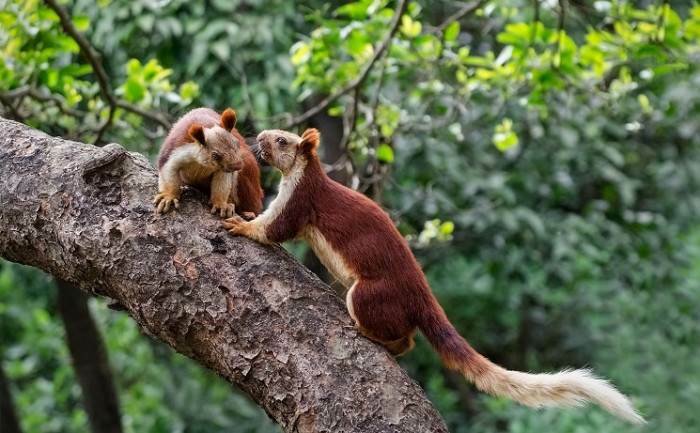 The #IndianGiantSquirrel (Ratufa indica), also called the #MalabarGiantSquirrel, is a large species of tree #squirrel native to South Asia. It typically has a three-colored coat of reddish-brown, black, and cream. It grows to be about a foot long, with an additional two feet of tail. It can weigh more than four pounds. 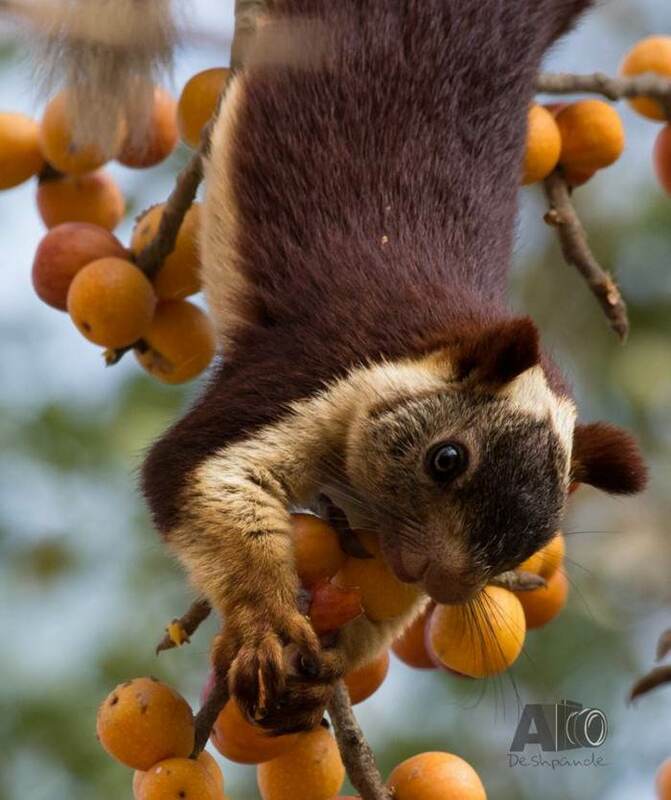 The Indian Giant Squirrel lives in the canopies of trees and travels from tree to tree by leaping off of branches, sometimes jumping more than 20 feet. It feeds on a variety of plants, especially fruits and nuts. It plays a vital role in shaping its habitat through seed dispersal. This large rodent is often preyed on by Leopards and birds of prey. 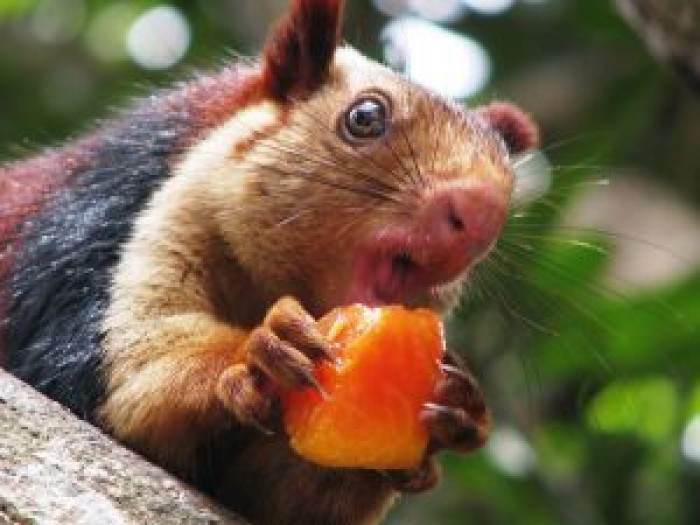 There are five subspecies of Indian Giant Squirrel. It’s a rare sight to see two squirrels together. Leave some food out and they might get close enough to you for a photo. I just can’t handle this cuteness. I’m off to India. These squirrels often build their nests on thin sticks, hoping heavy predators won’t bother trying to attack. They can jump from place to place, up to around 20 feet. 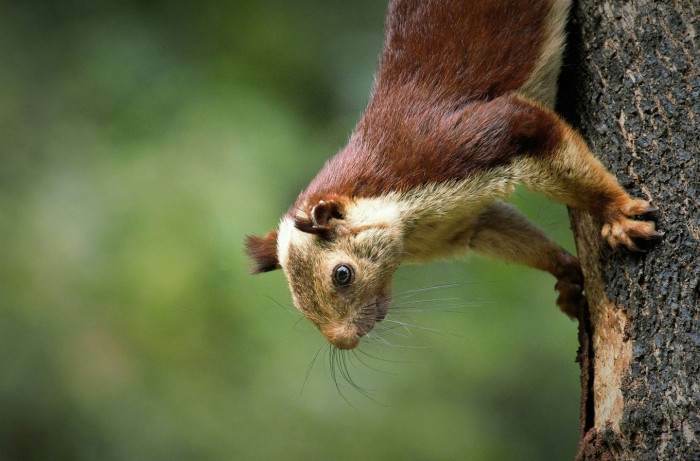 This photographer snapped at 1/250 of a second to catch a photo of the Giant Indian Squirrel. These squirrels are born without eyesight. It takes up to 26 days for it to establish.